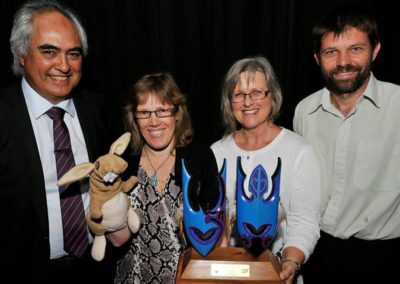 Photos and story about the 2013 Māori Language Awards in Gisborne - WINNER! 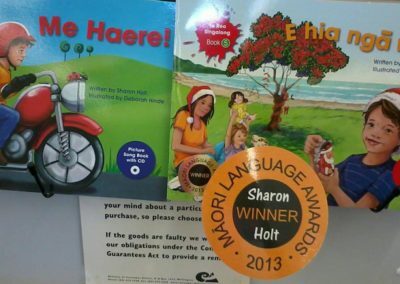 Te Reo Singalong books have been honoured with several awards since we started publishing the series in late 2011. 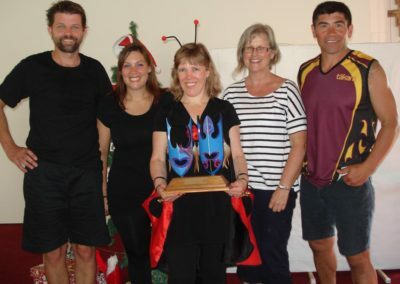 The first award win was in 2013 when our publishing company, The Writing Bug Ltd, won the Print category at the Māori Language Awards held in Gisborne. 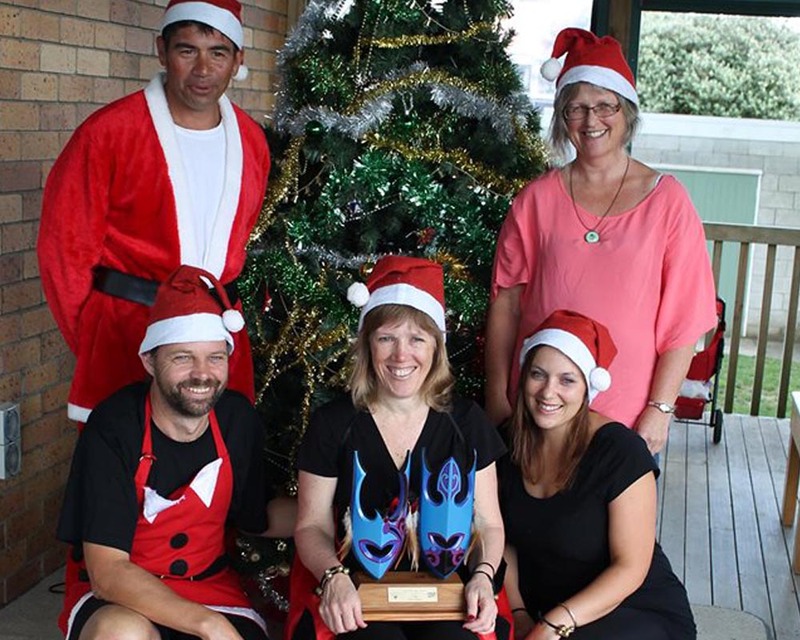 It was certainly a very long road trip from Hamilton to Gisborne – but definitely worth it! 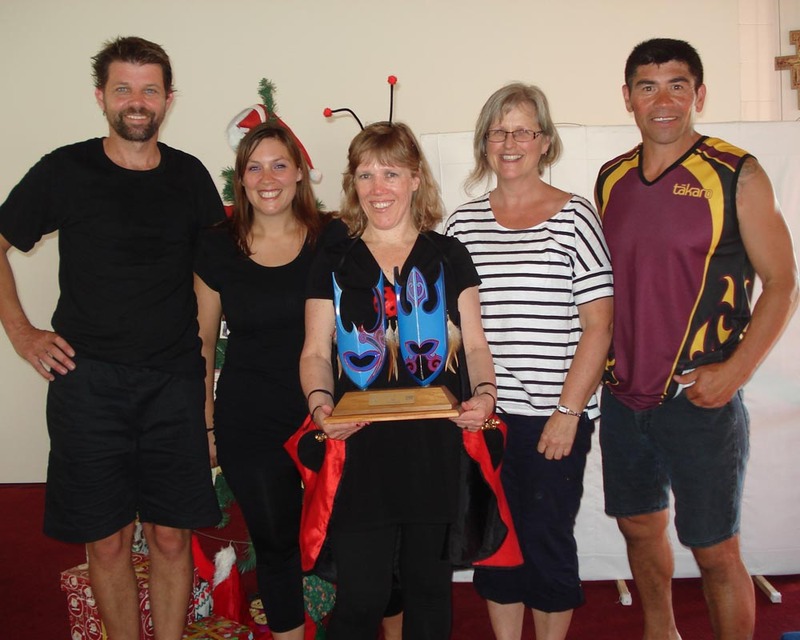 And it was a huge privilege to be honoured by the Māori Language Commission for the work we have been doing to help more teachers and children to access easy-to-use te reo resources. 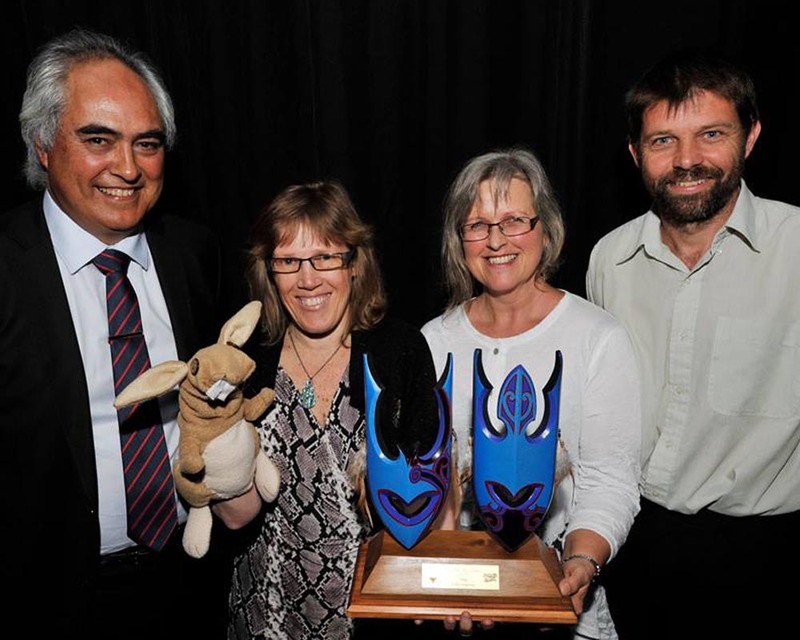 In the photos featured here, you can see the beautiful taonga we won that night in Gisborne. It’s a very special carving by Derek Lardelli and it has been given pride of place in our home office! 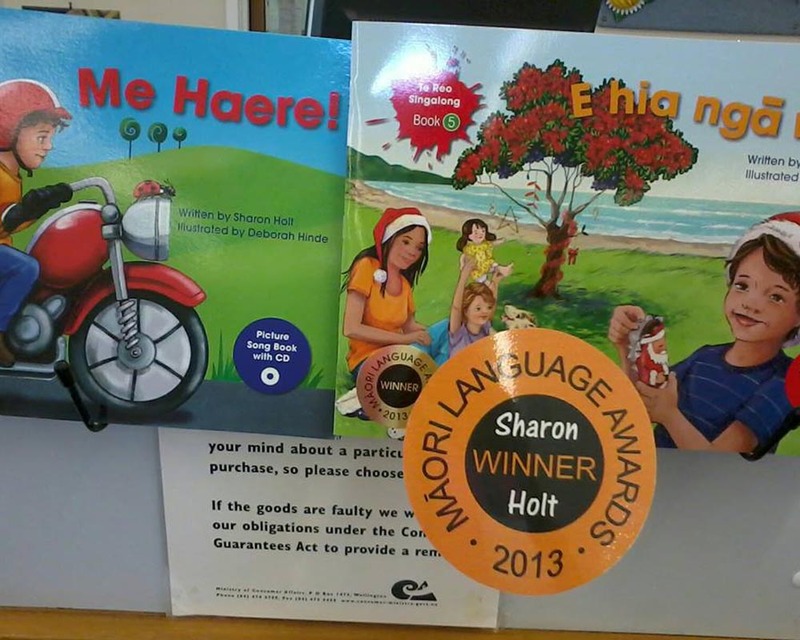 The photos also show some of our Te Reo Singalong team members, including Sharon and Alan Holt, who write and publish the series of books. We were also really happy that our illustrator, Deborah Hinde, was able to accompany us on our road trip to the Māori Language Awards night. The other photos show us with the musicians, composers and singers for our series, Stacy Walker and Graeme Stewart. You might also spot our rabbit puppet in one of the photos. I took the puppet on stage with me to steady my nerves during the thank you speech. The rabbit puppet normally appears along with other puppets, props and costumes as part of the shows we perform in schools and early childhood centres to bring our books to life. The rabbit is from our book, Kei te peke ahau. 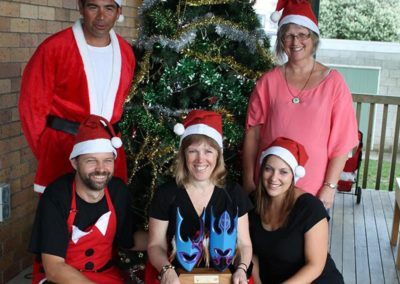 However, I was so nervous at the awards that I said “Kei te rere ahau” (I am flying), instead of “Kei te peke ahau” (I am jumping)!